Amino acids are the building blocks of proteins. 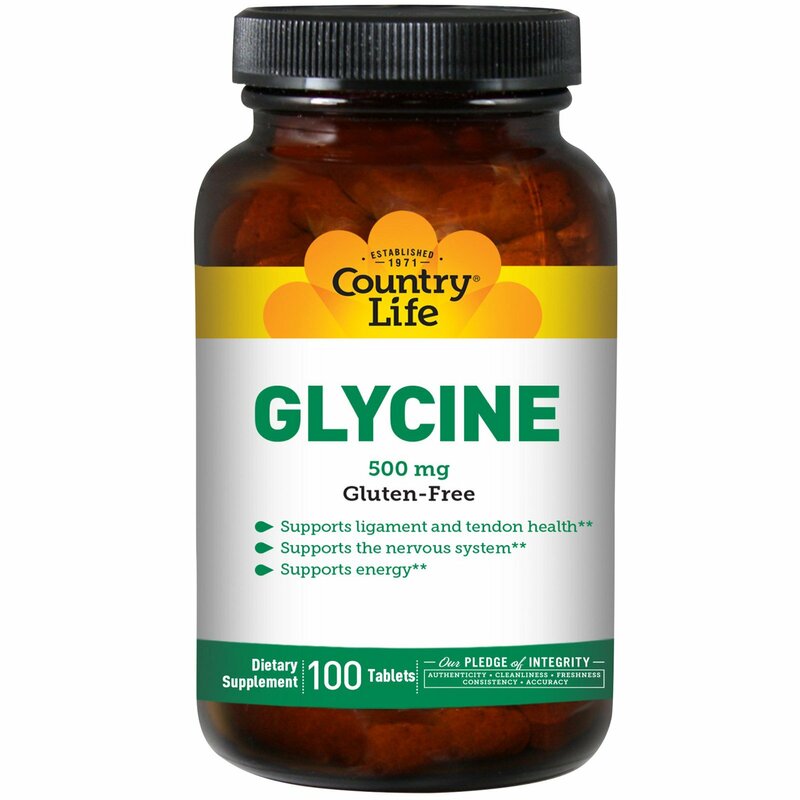 Glycine is an amino acid that supports the healthy function of ligaments and tendons and the nervous system. Country Life uses vitamin B6 to aid in utilization. 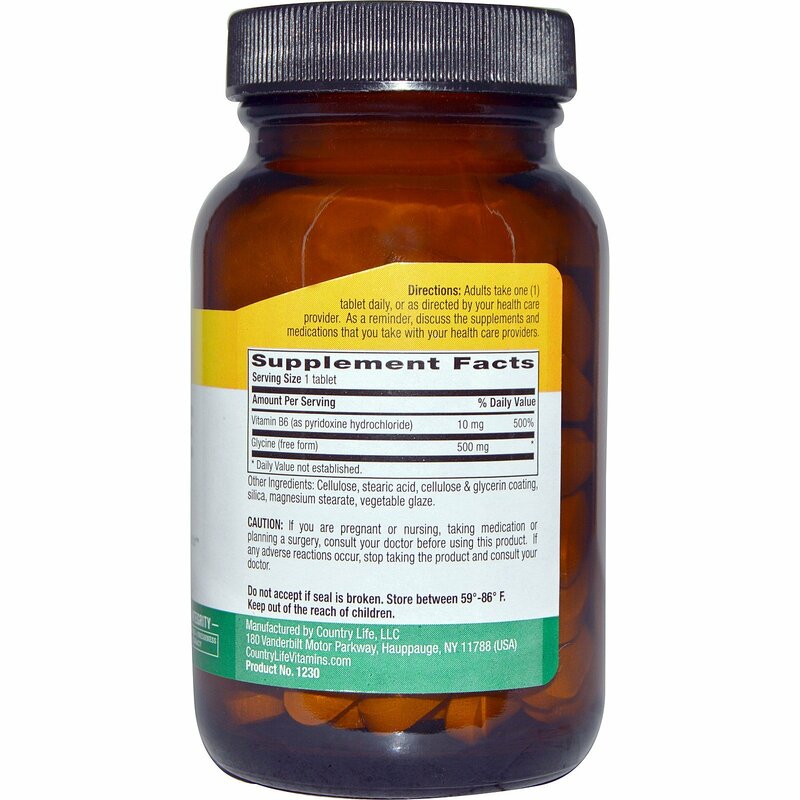 Directions: Adults take one (1) tablet daily, or as directed by your health care provider. As a reminder, discuss the supplements and medications that you take with your health care providers.